Who has ever been excited about growing old? Nobody wants to look old, with a wrinkled face and dull skin. We all want to stay forever young with our soft glowing skin. However thanks to today’s pollution more than 50 % of the population is suffering from the signs of early aging. 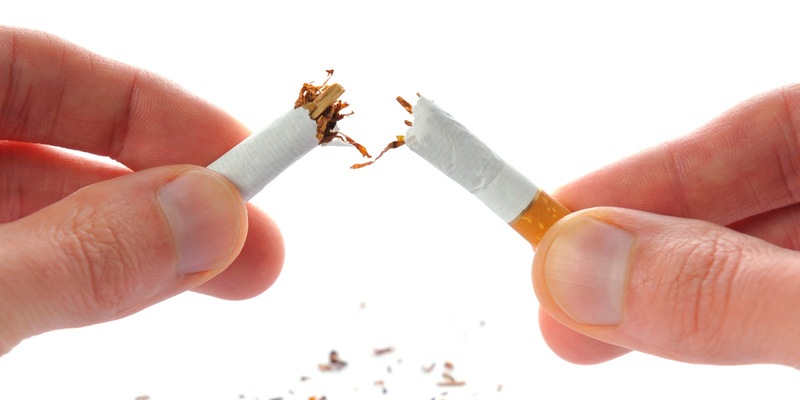 But we can’t entirely blame our environment as some of these affects are often, also, a result our own unhealthy lifestyle, where we lack in giving our body the attention and time it requires. Our daily routine hardly involves any regular exercise, which is essential to detoxify your body, and keeping your body healthy from the inside out. No matter what products you use, if you are not eating healthy, or not getting a proper beauty sleep you are going to look old and dull. Human body is made in a way, where it demands attention &care. And it is our responsibility to take care of our body; else we might as well put our aging process in the fifth gear. These are a few simple steps which can really help you deal with your entire aging problem. A little work on your lifestyle and you will be able to get your life back on track to a healthy road. Whether you are stepping out for a 15 min run or an office shift, always ensure to apply a coat of sun screen on your skin. Sun rays can really accelerate the aging process. 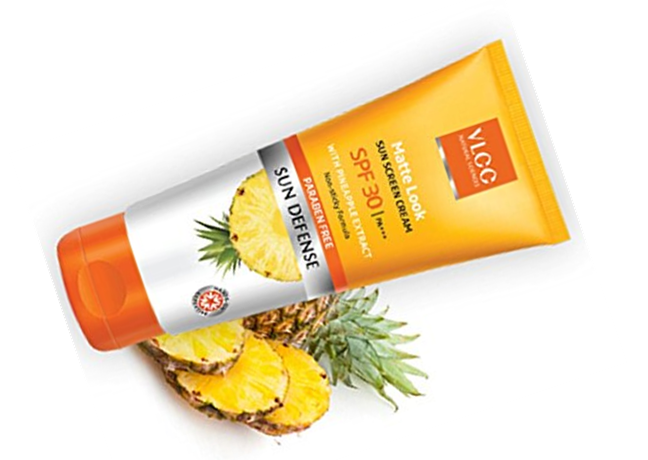 A VLCC sun screen with SPF 30 or higher is considered best for Indian skin tones. It is known to give positive result on Indian skin. Unlike some of sun guards, it is one the reliable brands in India. Your unhealthy lifestyle is the biggest cause of all your skin and health issues. So in order to see evident changes on your face; you have to get rid of anything that can damage your health. 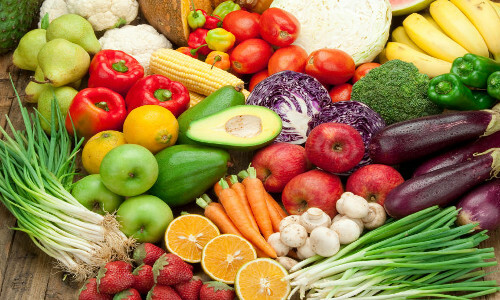 It’s a proven fact that consuming healthy fruits and vegetables regularly can prevent your skin from premature aging. You need to follow a diet which consists of more healthy food compared to junk food, to keep a balance. If you are still confused about your diet, you can meet a VLCC nutritionist at your nearest center for a diet chart according to your weight and age. There experts also evaluate your current health requirements and challenges to prepare an appropriate chart for you. Even I got one from them. 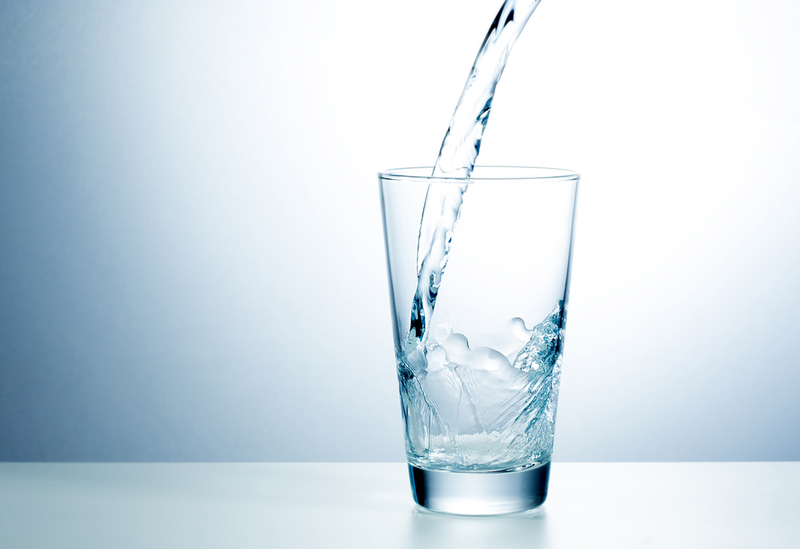 Up to 70% of human body is comprised of mere water. It is an essential requirement for us to keep our body well hydrated as dehydration can make our skin dry and dull, which can end up in causing pre mature aging. With layers of makeup and dirt on your face, every day it becomes essential that you clean it before going to bed. I recommend you to cleanse every day with VLCC sandal cleanser. Regular use of VLCC cleanser eliminates all dirt, oil, dry and dead skin off your face which can help in keeping it young and glowing. 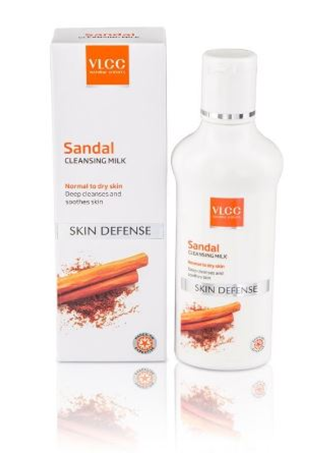 It has natural sandal oil which not only cleanses the skin but also rejuvenates it. And by skin, I mean your entire body, especially, if you have dry skin like me. 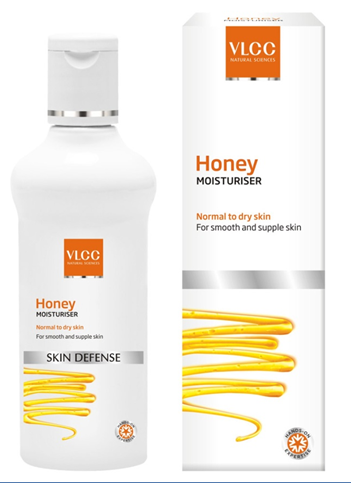 Moisturizing is an important step which can help maintain the quality of your skin, so ensure that you regularly condition your skin VLCC Honey Moisturizer. It is enriched with Honey extracts, jojoba, olive and almond oil which moisturizes the skin. It will leave your skin soft and also helps repair skin damage. Yay!! Even people, who have already started seeing signs of aging can have their old glow back if they adapt to a healthy lifestyle. By shielding your skin against the sun, you will be preventing any further damage, and also give it time to repair and nourish, by following a process of moisturizing and cleansing. Don’t lose your confidence; rather get rid of all the unhealthy things that have landed you in this position. Take preventive measures, start taking an 8 hour beauty sleep and you will start waking up more refreshed with a beautiful glowing face. Most of us use different products of different brands, like you must be using a sunscreen of one brand and a moisturizer of another, which is so common yet so wrong. Try and choose a brand which offers all categories of skin care products, Like VLCC. As most brands use similar components while manufacturing most of their products, it becomes easier for your skin to work around them. Plus if a brand suits your skin, chances are you will get better results, if you use all its products. VLCC pretty much has all skin care products from anti aging creams to fairness creams to cleansers. It can be a fit choice as they use natural ingredients in most of their products, which are suitable for all skin type.